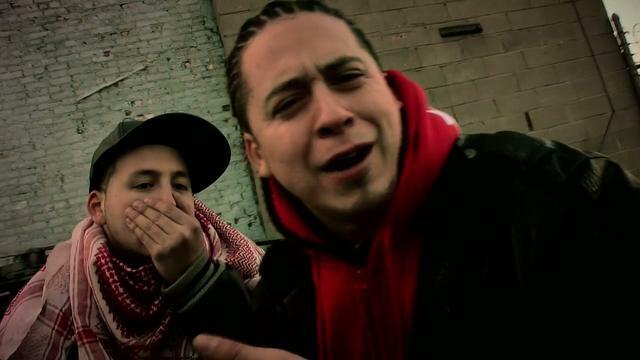 You’ve probably never heard of Rebel Diaz, a hip-hop group from NYC’s South Bronx, whose music is top-heavy with ñángara politics. Days ago, they released a new tribute to the late Hugo Chávez. In “Work like Chávez”, they didn’t just remember him but imply in its lyrics that the U.S. somehow killed him. Rebel Diaz used the song to show their gratitude to Chávez, who visited the Bronx in 2005 and started providing low-cost heating oil there and to other U.S. cities shortly after. Whoddathunkit? The ñángara rappers were on a cancillería payroll. In truth, their hold on the petroteat seems to have been tenuous. Right now, the RDAC-BX is without a home, as they were evicted last month by NYPD officers from a formerly abandoned warehouse after constant clashes with its landlord. The eviction comes after not paying six months of rent and multiple complains over graffiti in the building and nearby areas. Maybe they figured a little bit of “sponsored hip hop” will be just the thing to make their HQ woes disappear. Next articleHow can people this inept win? By militarizing the mobilization effort, that's how!